The world's greatest obsessions in one place. Our shops/tasting rooms in sunny Peckham and Deptford showcase 350+ of the finest bottled & canned beers from all over the world. 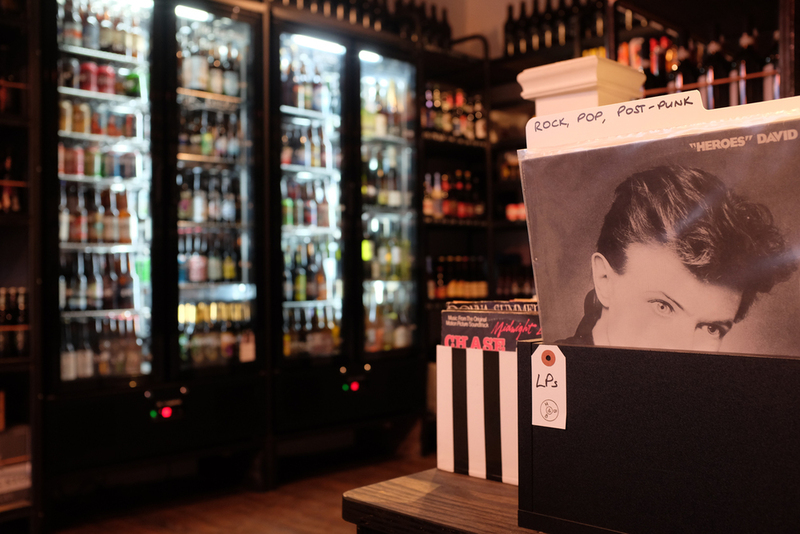 We also have London’s best selection of hot sauces (the 'Burns') and, in Peckham, a small but perfectly formed collection of new and vintage vinyl (the 'Black'), as well as craft cider, mead, organic and natural wine and small batch spirits. In our Peckham store, you can also take home a flagon of super-fresh draught beer from our flagon-filling station. (See here for today's choices). Get these and more delivered from our online shop, or click and collect in store. Here be flagons... Choose from four ever-changing kegs for flagons of super-fresh draught beer that stay fresh for weeks, thanks to our cunning counter-pressure filling machine, or take home some craft cider or 750ml bottles of hand-crafted Le Grappin wine from Burgundy if you're that way inclined. Stay up-to-date with what we’ve got coming up at our shops, events, tastings and a full rundown of all the amazing new stuff in store by signing up to our brewsletter. Thanks for signing up. Please check your inbox to confirm your subscription and we look forward to sharing news and brews with you. Unlike some other subscription services that bundle up a handful of good beers with a bunch of disappointments, this one does exactly what it says on the tin. Our first release, the All Killer, No Filler box, brings together 10-12 of the very best beers out there. Small-batch collabs, international rarities, HB&B exclusives - working with our favourite breweries and distributors to get our hands on the most sought after beers in the UK... Serious beer lovers only need apply. Every box comes with detailed tasting notes plus featured beer reviews and suggested food pairings from our expert beer writers. You'll also get the chance to win a 750ml sharing bottle every month. Head here to sign up and/or find out more.